There are many articles about seo optimization of wordpress. But I want to give you some unique and interesting tips and tricks about seo optimization of wordpress sites. By default, your titles are not very good. They have structure – title of post + title of site. But this creates many problems, because all pages on your site will have common keywords. 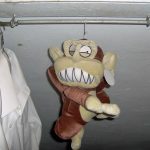 So, use only title of posts as titles, without name of site. When I start new site, there is only one plugin which I added in the beginning – Seo by Yoast. It helps to control titles and many others things. So, when you activate plugin, go to settings (Seo – Titles and Metas), set unique Homepage title and description. Title for homepage must have required and important keywords, but it must be readable for users. Think about how your site can help visitors and add short text about this. Set more text in description. What about title templates, Date in Snippet Preview? If you have news site – you can include date in snippet. If not – don’t enable. Usually, I enable all checkboxes in Duplicate content prevention, but you must do this only if you have one author for site. Titles must be always unique on each page. Don’t use many symbols in title. 50-60 is recommended, but sometimes you can use 100. Users first. This mean that titles must be for users and then for engines. You can use some unicode symbols to make descriptions better. Check unicode title and description creator. But don’t use it a lot of times. Maybe only in some descriptions. Make sure that title of post on your page has h1 tags. NEVER USE MULTIPLE H1 HEADINGS ON PAGE. Also, make shue that title on your page is not a link (in this case link goes to the same page). Try to divide your article on logic parts. Each logic part must start from h2 heading and have some text divided by h3 headings. Example – this article. As you see, I also added table of contents in beginning. This is also very good technique for long articles. In my optimized themes, it’s easy to do, just simple shortcode. Maybe your theme also has such functions. Also, I found that very often many html coders add h3 or h4 as title in sidebar widget. This is big mistake, because titles as “Latest posts”, “Subscribe to us” and similar in sidebar are useless for seo of page. I think that you already know this. More unique content – more chances to be in top. But content must be not only unique, it must be also interesting for users. 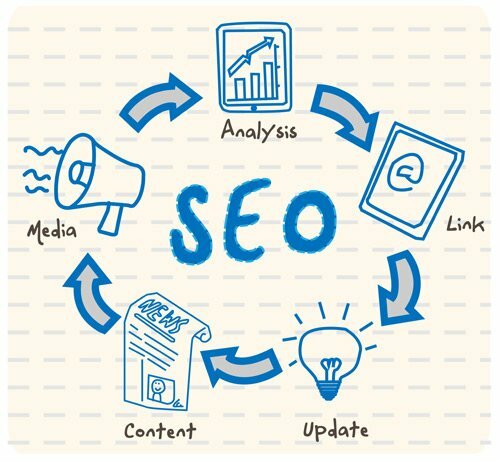 There are some ways to increase value of content for seo and for users. One of best – adding additional videos, images, manuals, etc. For this purposes, we created plugin Content Egg. It has much more functions, just check it. This is also important. Maybe more for users than for machines. Good structured and formatted content is better for reading. Users will like to read your site and they will spend more time on it. Try to research your theme functions. Most of themes have shortcodes to style text, boxes, highlight content. Also, try to add for some important words in bold text. Before you start your site, answer on one question – what values users can get from your site. Imagine that you are a man who are interesting in one theme. Do you think that your site is helpful? When I create site, I tried to add such information that will be helpful even for me. I very often go to my sites to remember some information. So, CONTENT IS A KING. This is first and main rule. Search engines can determine code validity of code. But they don’t use this. So, your code of page can be not valid but has good seo ranking. But, I try to check code validity of pages from time to time because it allows to find some errors in code which is not visible. Maybe this is most weak part of wordpress. The problem is that wordpress generate too much duplicated pages. But it’s possible to make everything in correct way. So, one of the problem of wordpress, that the same post or page can be accessed by different urls. Many people even don’t know about this. You can check pages in google index if you add search in google as “site:yoursite.com”. Also, if you have many tags, categories, date archives, author archives, pagination pages – most of pages will be the same. You need to disable such pages from indexation. First of all, you need correct meta robots. 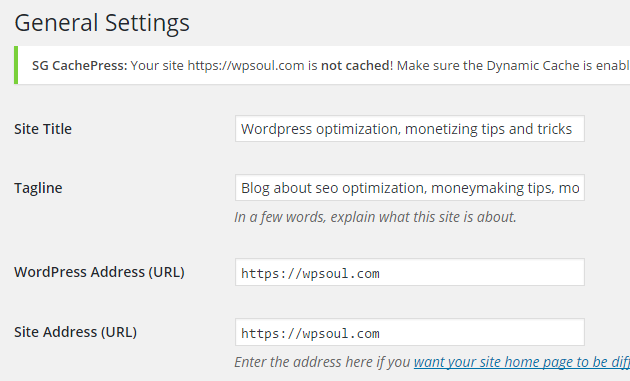 Seo by Yoast has option to add it. I wrote about this above. Note some things. If you optimize pages with tags – don’t add noindex to them. Or, if you have multiple author pages, maybe it’s good to leave them indexed. Usually, I add noindex tag to tag archives, media post type, date archives, format archives, author page archives, subpage archives. Sometimes, if you want to disable some pages from indexation, maybe it will be better to disable such pages inside google webmaster tool. It allows you to disable even definite part of site. As I wrote early, usually I added noindex, follow to pagination archives. BUT, I tried to make pagination in category archives. I see a very common mistake on many sites – using infinite scroll on all archives. This is a big problem. In this case, search spiders can’t have good access to your very early posts. So, you can use infinite scroll on homepage or separate pages. But make sure that you have pagination in your archives that are opened for indexation. So, it will look like static html document, but I think this is not so important, it’s up to you. Yeah, this looks good sometimes, but if you check your home page on any link analyze tool, you will see that most common inner anchor will be “read more” which is useless for seo. In this case, text will be as text, not as anchor for link. I think you saw block “popular” in sidebar on many sites. It’s good widget, so, you can use it. But, if your site is not popular and you don’t add content very often, I recommend you to use “popular” blocks as manual. 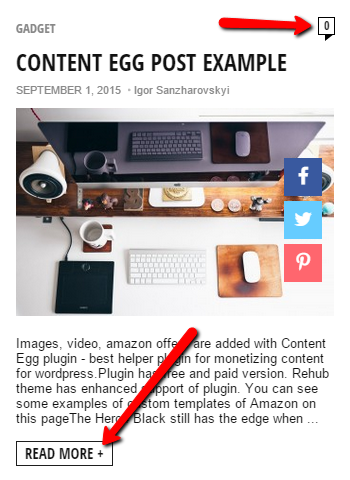 This means that you can add articles in this widget by yourself (not based on views, comments of users, etc). In this case you can add links to your most valuable articles. Also, very good technique is when you have this block not as list of posts, but as list of comments, excerpt of comment will be link (maybe testimonials). The main difference is that anchor in such links will be not as title of post, so, such links will not glued with links from archive loops. Many people think that if they add rel=”nofollow” to links – they can add any links in site. No, this is not a truth, google will follow even such links. Also, I found that external links on very good trusted niche website can be even useful to your site. So, usually, I add such links without nofollow. What about if you need to hide link from search engines? Well, there is one simple way – jquery. We will make some trick. First of all, add such jquery to your theme. Next and very important part is structure of website and strategy of content. When you start your site you must know your structure, what is the main theme, what articles will be most important, what articles will be as supported. I recommend to take piece of paper and draw your structure. After working on semantic core, it’s time to optimize categories pages. Use near 5-10 categories on site (can be more on old sites). Place link to each category in navigation (or in sidebar). Then, optimize pages for categories. For this, go to Posts – Categories – Edit and fill category description for each category. Minimum – 500 symbols. Will be good to place some interesting images or other html. Sometimes it’s also good technique, especially for sites with many static pages. But don’t use this if you have big amount of posts and pages. Also, when I check client’s sites, I see 99% issue. They are using many plugins which do the same job. In most cases this is because many hosting companies install some plugins with wordpress (usually, jetpack). So, check your plugins. If you don’t know what they do – delete them. Also, avoid using many plugins for small functions. For example, usually seo plugins have many modules, but people add separate plugins for sitemap, for analytics, for links, for .htaccess. Don’t do this. In this year google likes tables. Not for page, of course, but for specifications and price comparison. Sometimes, if you will be lucky, google place snippet with tables in description. First screen is very important. So, try to use much important content in first screen. Also, avoid to use many ads in first screen (maximum 1 ads). Social functions become important more and more for seo. So, use social share icons on your site. 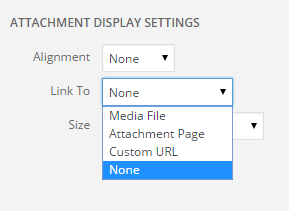 Also, you should create pages in twitter and facebook for your site and make reposts there from your site. I will not recommend plugins for this, because there are many good plugins now. – Should I set to noindex for rh_specification, MDTF categories and layout tabs? – Should I also exclude these items from sitemap? Would love to add schema structure thanks for insights ! Very useful information, but some of the information is outdated. 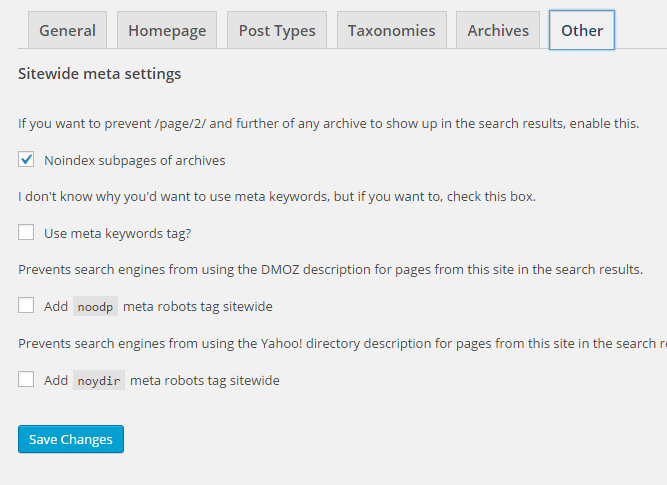 Like content SEO settings, Currently Yoast SEO doesn’t provide such options in their SEO plugin. So I request you to Update this article. there is any way i can noindex all the productos of contentegg???? The problem i have is that, for examnple….i have 1 page attacking 1 keyword, and with the titles and descriptions of the products, may affect my ranking for that keyword that i want… I don’t know if you understand what i’m asking..